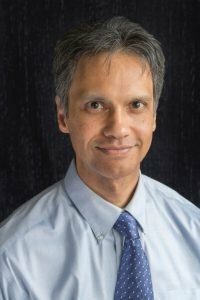 Richard J D’Souza is the senior registered Clinical Hypnotherapist for Clinical Hypnotherapy Cardiff & Stress Management Cardiff. Established since 1997, his expertise has helped hundreds of patients make positive transformations. You can benefit from his advanced, analytical hypnotherapy techniques that will help you initiate the changes that you want. You can be assured that your issues will be dealt with in a sensitive and non-judgemental manner. Hypnotherapy, in its simplest form, combines deep relaxation with appropriate suggestions. When used by an accomplished expert, hypnotherapy is an extremely effective and powerful tool that can enable you to achieve your desired therapeutic goals. You can trust a senior registered Clinical Hypnotherapist’s experience to apply these techniques professionally, helping you to resolve your issues as quickly as possible. This might be a small hurdle or perhaps a deeper problem that has dominated your life. Click the “Conditions Treated” button above for a more comprehensive list or please enquire if your condition does not appear on that page. Please read the full list of terms and conditions, then contact me using the “Contact Form” found in the “Contact Details” page. Alternatively, you can telephone me or use the email “Info@” link below for a quick question. All communication will be dealt with in the strictest of confidence. We are based at The Therapy Centre (Roath, Cardiff) in the heart of Cardiff’s city centre. It is easily accessible by car with free parking for patients at the back of the premises. Alternatively, you can travel using Cardiff bus or local trains (Queen Street Station, Cardiff). Find us on Google Maps. The Therapy Centre is a professionally managed clinic offering traditional and complementary therapy to Cardiff’s local communities. Also covering Aberdare, Barry, Bridgend, Caerphilly, Cowbridge, Cwmbran, Merthyr Tydfil, Newport, Penarth & Pontypridd. Hypnotherapy home visits and Skype hypnotherapy can also be arranged. Please enquire for more details.